In one of our previous articles, we explored what video games can teach us about UI and UX design. Since we all love gaming, we can’t remember when was the last time we had so much fun writing an article so we figured, hell, we should do this more often. The gaming industry has been a powerhouse industry for more than three decades. Like with any other industries that are popular, make so much money and have so many gifted professionals, there is a lot to be learned from it, and while gaming industry set its own standards in terms of high-quality marketing, we will explore what gaming industry can teach people about marketing in general and, trust us, there is a lot to be learned from it. Throughout the gaming history, countless of, mostly low budget, niche games have been made. Most of them gain little to no traction and remain in their respective niches until they become forgotten. That’s completely understandable, as niche games usually appeal to a small, specific segment of gamers. However, there have been some games that have enjoyed tremendous success, despite being develop to cater to a particular niche. Super Meat Boy is a perfect example of such game. Released in 2010, this surprisingly difficult platformer was nothing more than a low budget game being made by a small team of developers relatively unknown outside the indie gaming world. Fast forward a couple of years, the game sold more than a million copies, creating a cult following and inspiring a whole new (kinda) genre. What happened? Super Meat Boy was released during a time where 2D platformers were considered to be a thing of past. It was a love letter to 90s, especially to the games such as Super Mario Bros. and Ghost ‘n Goblins. Precision jumping, over the top difficulty, simple and addictive gameplay. Just like its predecessors, Super Meat Boy had it all. The reason the game was so successful, outside of obviously being a great game, is that it introduced the mechanics in a simple and elegant way. The game was extremely intuitive and easy to get in to (albeit being incredibly hard to master). On top of that, it’s design was surprisingly modern as it did everything modern successful games do – it was fast paced, had great replay value and had an unique design. By doing that, it didn’t only appeal to needs of a particular niche that was yearning for classic, old school difficult platforming, but it succeeded in making other gamers realize that this particular need exists in them. It sparked their interest for something they might not even be aware of. It’s hard to say that the game created a need for difficult gameplay and 2D platformer revival, as needs are not created that easily, but it obviously sparked a need that was buried deep inside gamers worldwide, and it did just that by being designed that way. It wasn’t too niche-y in a way that games such as I Wanna Be the Guy are. It was a game that everyone could play and enjoy, whether they were looking for old school or modern mechanics. 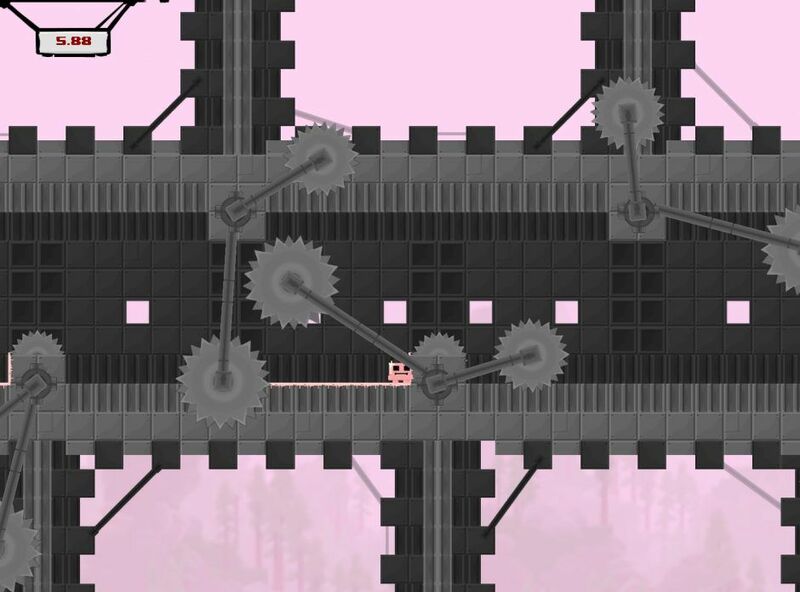 Again, there is a lot to be learned from Super Meat Boy. When building a business, you shouldn’t be afraid of targeting a particular niche. A niche is not a definite amount of people. Just because X amount of people constitutes a certain niche, it doesn’t mean that you can’t influence that niche to become X+n. Let’s say you’re conducting a market research to explore the options of launching a new product. Your research tells you that this particular niche is simply too small for the product to be profitable. At this point, most of the people become discouraged and abandon the idea. And this makes sense if you think about it. That’s too much of a risk. If you ask us, this is a big mistake as people tend to forget that a niche can be expanded just as easily. Expand the features of your product to target the needs of multiple niches. Expand the niche itself by making people realize that they need the product. Imagine you’re producing some power tool. Usually, you’re selling your tools to a specific niche who in turn uses the same tools to offer services to public. You could potentially try to persuade the public to buy the tools to save money in the long run because now they don’t need the middle-men. They can do that themselves by using your tools. Worst case scenario – you lose the niche, but end up selling products to a broader customer audience. Best case scenario – you get to keep them both. Either way, you win. This, of course, is easier said than done, but the point we’re making is clear – niches are not permanent constructs. If a particular niche needs to be expanded, a good marketer will find a way to do so. If a particular niche needs to be created, a good marketer will do so. People are extremely emotional and habitual creatures that do a lot of things because it’s their habit to do them. That habit can in fact be broken and modified. If it’s broken, a new, larger niche, is born. In early March of 2016, Blizzard released a new update for Diablo 2. 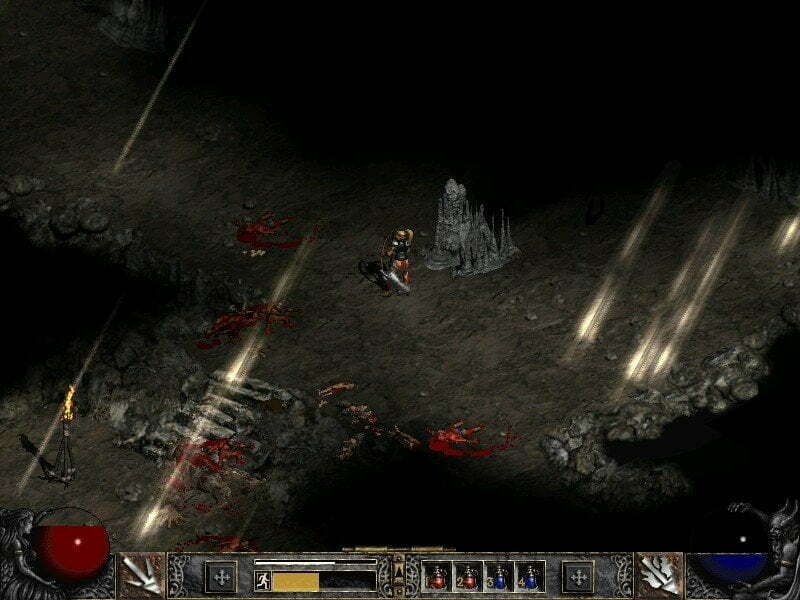 Patch 1.14a was the first patch for Diablo 2 released in nearly 5 years and it surprised a lot of people since it was widely thought that the once extremely popular game was basically dead (which it wasn’t). Although the patch was rather small, resolving some compatibility issues, this kind of dedication to existing player-base is what made Blizzard so powerful. By releasing patches, video game developers are constantly improving the gaming experience and there are a lot of examples of patches being significantly rich with improvements that they tremendously increased the longevity of their respective games. By constantly monitoring their games and acknowledging gamer’s desires, it’s possible to keep the game alive for an extended period of time. This, however, requires developers to test a lot and have good communication with their player base in order to tackle problems as soon as possible. Communication is the key here. Another example that immediately springs to my mind is currently the most popular game on the planet – League Of Legends. See, in League (and in other online games as well), there is this thing called “Meta” (short for metagame). Meta describes the game’s current play style and is constantly evolving as new features are being added and new play styles being invented. Due to this dynamism, LOL‘s creators, Riot, are constantly releasing new patches and updates to address the current meta. It’s this approach that keeps the players engaged and prevents the game from becoming dull. Something similar can be seen in various web growth hacks that are popping around on a daily basis. All of those hacks are efficient because they exploit the current “Internet meta”. Once a particular growth hack becomes overused, it loses its effectiveness rather quickly. That’s why it’s important for marketers to monitor what’s happening in the current “Internet meta” to come up with effective solutions that drive results. One area of marketing where I find this to be particularly applicable is SEO. Due to the SEO’s non-linear nature and reliance on various tricks, SEO software developers should always monitor what happens in SEO “meta” and adjust the software accordingly. This, of course, is not limited to SEO software. Basically, any software/service that addresses the needs of a particular field that is dynamic and fluid can benefit from this example. Industry trends are hectic and changing at unprecedented rate, which makes it increasingly important to adapt to new trends. Fail to adapt and you risk losing customers and audience because someone else will do just that. Like we said, communication is the key here. By communicating with relevant groups, you’ll be able to understand the state of things rather quickly. For example, if you’re an SEO enthusiast, joining SEO forums or reading SEO blogs is simply mandatory if you want to be up to date with newest SEO trends. You need to communicate with the target audience in order to understand how a particular niche works. Once you do that, it’s up to you to decide whether you’ll obey the rules of your “market’s meta” or you’re going to experiment and change them to your liking. The true success lies in the latter, but that’s a daunting task in its own right. Markets are a lot like games, except that most of the markets don’t have a governing body or an owner. Each market has its own set of problems that can and should be fixed (patched), just every product. Also, markets are extremely dynamic, ESPECIALLY on the Internet. “Market meta” shifts are often occurrences and you have the power (just like Riot has when it comes to LOL) to use your knowledge to get the best out of those shifts. Millennials are a strange bunch, but you already knew that. Most of us who have siblings share a similar story. Here’s one from our colleague: “Here I was, 6 or 7 years old, playing Sonic the Hedgehog on my Sega Genesis. My younger brother had two options – either to watch me play or watch me play and pretending he was playing. For many of you who had older siblings, this was often the case. They would hug the console and all you could do was watch.” That, we suppose, wasn’t really fun. Now, imagine if someone told you that 20 years in the future, watching other people play would be almost as popular as playing them. Sounds ridiculous, right? Enter Twitch. In case you haven’t heard of it, Twitch is a live streaming platform (think of Youtube) that primarily focuses on video games and people streaming themselves playing various video games. Basically, you have hundreds of thousands of younger siblings, watching people play games and even donate money to support the channel. Now, this might sound silly to some, but that’s the way things go nowadays. Millenials are a wild bunch and even Millenials, such as us, have hard time figuring out just what the hell is going on. A successful marketer knows that Millenials are strongly leaning towards individualism (although a case can be made against that claim, but that’s another story) and require an approach that’s completely different from the marketing of the past. Raw content is king, but you already knew that. Or did you? During last two year, there has been a lot of talk about Beme – a video messaging app that was supposed to be a revolutionary by enabling users to distribute content that was genuine, raw and unedited. Long story short, this relatively hyped app failed to get substantial traction. A lot of explanations were given, but most of them focus on one premise – Beme failed because it was based on the utopian idea that people want to share that kind of “boring” content. After all, people want to project idealistic versions of themselves (one of the main reasons Instagram is so popular). Sounds legit, right? Well, while this explanation makes sense when it comes to Beme, it’s not necessarily true. Twitch is a perfect example that authentic content can become popular. The reason why Twitch has been so successful in this segment is that this authentic content is engaging. Users are encouraged to participate and to communicate. Twitch doesn’t alienate streamers and viewers. Instead, it brings them closer. In this age of brand authenticity, brands are constantly trying to emulate this. Unfortunately, just like Beme, they often times fail because they are, well, boring. Authenticity doesn’t have to be boring, just like faking things doesn’t guarantee success. Instagram isn’t the only network out there that enables you to project the idealistic version of yourself, but it’s the most successful one, by far. It’s successful because it gives it a human touch, whether we’re talking about photo dimensions that are reminiscent of old school polaroid photos or warm filters that remind you of summer ’69 or whatever. Beme’s fault wasn’t it’s authenticity. It failed because it was boring, failed in engaging people to create meaningful content and had a terrible UX. Its storytelling was bad. This is where Twitch gets things right. It presents streamers, albeit being kind of rockstars in the gaming community, as normal people who like to have fun while playing games. It’s raw, but not robotic. It’s authentic in a way that you feel as if you’re watching your older brother playing Sonic the Hedgehog, minus the frustration element. Brands of the future are brands that are authentic. That much is clear. SUCCESSFUL brands of the future are the ones that feel like your pen pal. That’s true authenticity. Fun fact – the phrase “Content is king” was coined by Bill Gates in this wonderful 1996 article. Engagement is the true king. In 2014, a “social experiment”, called Twitch Plays Pokemon took place. Using Twitch, thousands of players were simultaneously inputting commands in hopes of finishing the game. As you might have guessed, chaos ensued and it took sixteen days for the collective hive mind to finally finish the game. This is a neat little experiment, one that can teach us about how people interact and explores some nice social dynamics. However, I won’t delve too deep into Twitch Plays Pokemon, but one thing that’s worth noting is just how good Twitch is at being interactive. A huge reason why Twitch is so popular is that users can actively engage with each other and with the stream itself. By giving viewers a platform to interact with other viewers and streamers, people are encouraged to participate in gameplay and in the course of the stream. It is this engagement that is a large part of authenticity I already talked about. Brands need to engage people in the process of building the brand, especially when it comes to millenials. They want to be engaged and participate in growth of their favorite brands. They want to create stories, not just receive them. They want to participate in various online dynamics, no matter how strange that might sound. Viewers, not streamers, are the backbone of Twitch and it is their enjoyment and experience that will ultimately determine its fate. So far, it looks more than stellar. A great marketer knows the value of engaging the audience. Blog Writing – How to write a post about stuff you don’t really know that much about?